Two years before I moved from Michigan to California, I sat on the front porch of a house I shared with my two roommates, Hal Christiansen and Rich DeManincor (a.k.a. 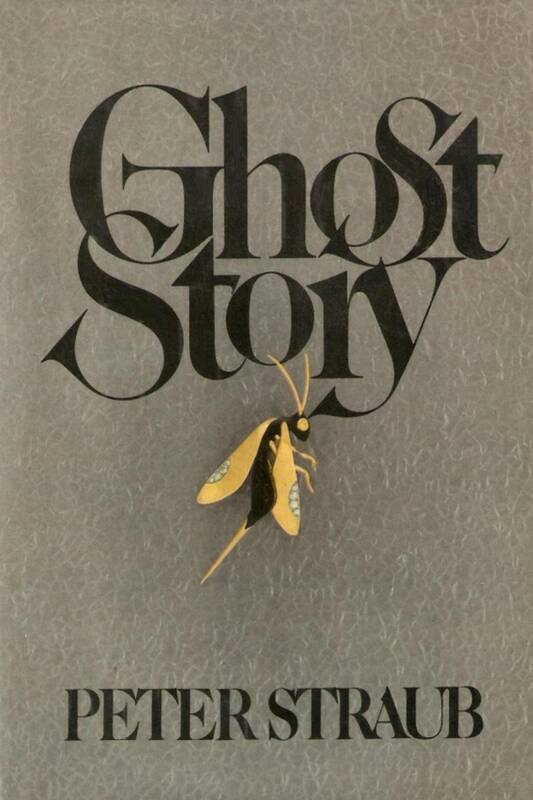 “Hal Delrich” of original EVIL DEAD fame), and read what would become my favorite horror novel of all time: Peter Straub’s genre landmark, Ghost Story. It was a beautiful spring, and I took time in the afternoons to read the book in the bright light of the season… but on several occasions I would put the book down to escape the intensity of the horror I found myself immersed in. I would look around just to make sure everything was okay. Pictures and entire scenes were embedded in my mind. I will never forget them. Two years later, in 1981, the film version came out, and I couldn’t have been more excited. I saw it… and was devastated. Where was my movie? Where was my book? Where was the horror? Where were the story layers, the red herrings, and most of the plot? 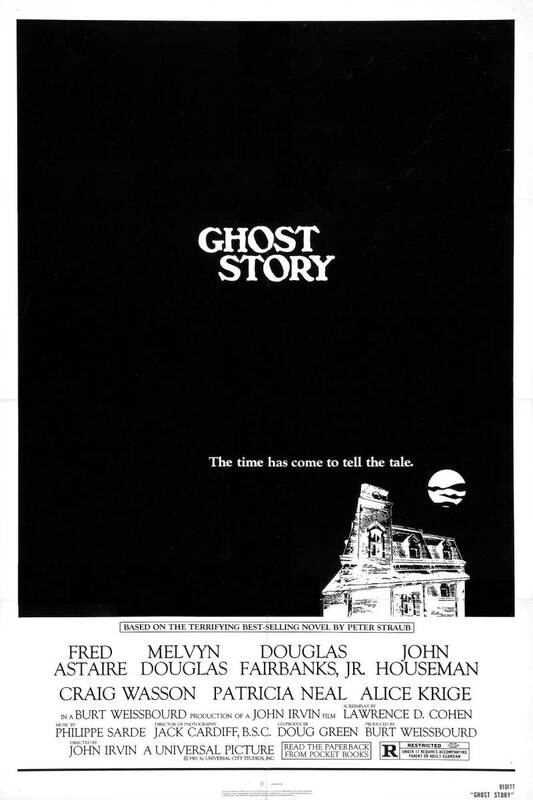 GHOST STORY the movie was my greatest disappointment in book-to-film translation. Did screenwriter Lawrence D. Cohen even read the book, or just the Cliffs Notes? 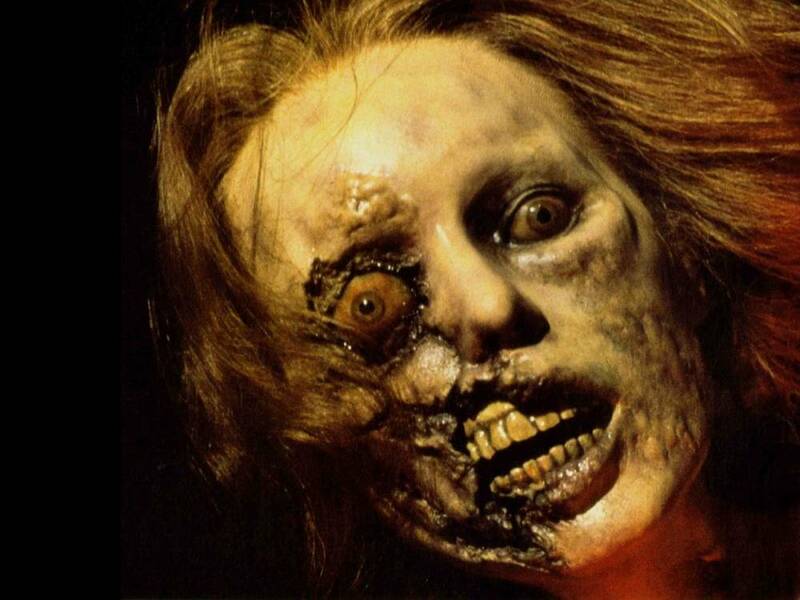 “Of course the greatest difference between the novel and the film is that in the novel, Alma Mobley is a shape-shifter who appears to be a ghost, and in the movie she is merely a ghost. I can’t tell you how much I think is lost in this change. “The literary background has vanished. We no longer have Sears James stumbling into a re-enactment of The Turn of the Screw, and in fact Sears’s background is absent, as is Lewis Benedict’s. No Spanish hotel, no dead wife, no grief. “The frame has been removed. Angie Maule is gone, and so is the terrible automobile journey at the beginning and end of the book, which added a nice layer of misdirection. Nothing you read in this book leaves you feeling okay. You are disorientated, losing all familiarity with the world you think you live in. You realize that nothing is as it seems. The film, on the other hand, is a study in mediocrity. What was the worst thing you’ve ever done? Groove To Some Spooky Tunes In This Special Halloween SHOCK WAVES “All Treats, No Tricks” Episode! Three People Appear in This Photo… But Is One of Them a Ghost?